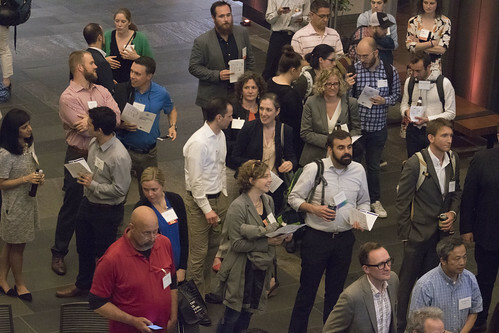 With over 200 attendees and 35 presenting companies, our Building Tech Forum was not only the largest we have ever had, but also the most technically complicated. Countless parties helped make this celebration of net positive energy happen. Thank you to Ben Myers and his team at Boston Properties for hosting and helping to organize the event. His continual kindness and support of our mission is what make large-scale events like this possible. Thanks to our generous sponsors WSP, National Grid, Eversource, and Boston Properties for moderating and making our education tracks a success, as well as our presenters, whos fascinating presentations lit up the night.